This statistic shows the development of the consumer financial situation over the last twelve months in Italy from April 2017 to March 2018. 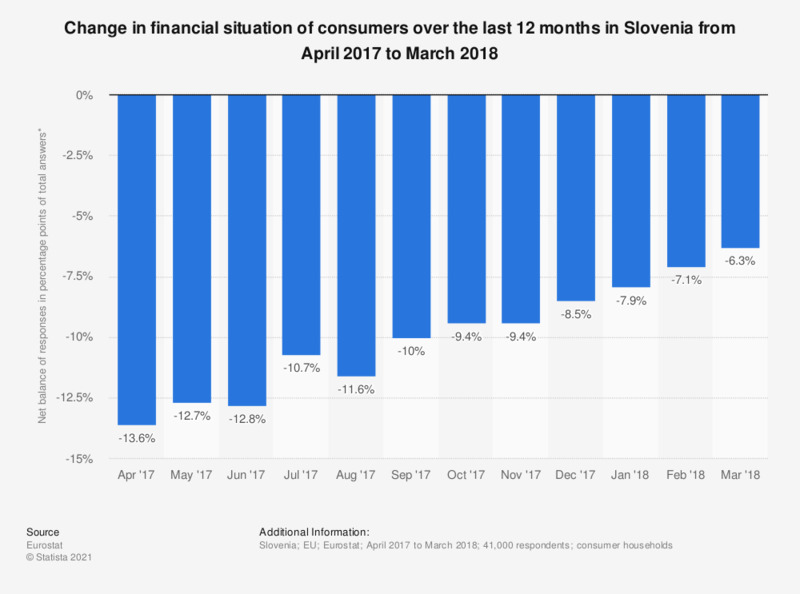 The financial situation of consumers in March 2018 improved (net balance of responses amounted to -6.3 percentage points of total answers) in comparison with the previous month. The data published every month are derived from surveys conducted by national institutes in the Member States. The purpose of the Eurostat consumer survey is twofold: first, to collect information on households' spending and saving intentions, and second, to assess their perception of the factors influencing these decisions. The questions are organized around four topics: the households' financial situation, the general economic situation, savings and intentions with regard to major purchases. The consumer survey is entirely qualitative.